Clubaholic.tv | PRESS RELEASE: Record launch for Children in Crisis by Last Night A DJ Saved My Life. 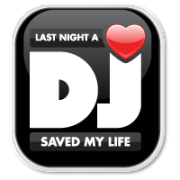 PRESS RELEASE: Record launch for Children in Crisis by Last Night A DJ Saved My Life. Record launch for Children in Crisis by Last Night A DJ Saved My Life. 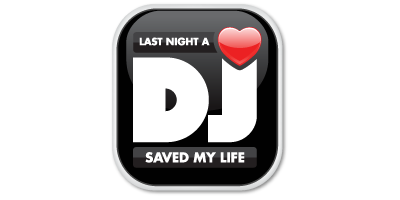 Last Night A DJ Saved My Life, a charitable organisation raising funds for Children in Crisis has continued to broaden their charitable plans by launching a record label. The record label will be an engaging platform for both new and heritage artist productions and further provide an accessible platform for raising funds for Children in Crisis. To introduce the imprint Beatport hosted an exclusive competition for artists to provide a remix of the tracks, an amazing 220 entries were submitted. The winners had a chance to win a Point Blank production course value £1200, Native Instruments – Komplete 10 and a Loopmasters sample pack. The two winners were talented production duo DJ Santi and Rebets. To compliment the release a further remix has been produced by the legendary Joe Smooth. The aim with the label is to provide producers and associated labels with a platform to give back to society. The record has already had support from key DJ’s and is on Beatport exclusively now with all other stores releasing on the 2nd of September 2016. The two winners Alexander Russkih (Santi) and Svyatoslav Rebets (Rebets) are two young guys from a Russian city located in the mid of the Urals. Both from a modest background – Santi works for a telco, Rebets used to work as a cook. The duo have held part-time jobs as DJs at their local night clubs dating back to 2010, followed by a subsequent meeting and collaboration in 2015. Santi used to make unofficial house and deep house remixes where he honed his skills, whilst Rebets used to deal strictly with Techno. After working together for some time, they decided to make remixes a collaborative effort. Moving from 2015 into 2016 they made several notable remixes including Telepopmusic, One-to- One, and Elekfanz which allowed their sound to reach a broader market. In March 2016 they decided to take part in the contest at LNADJ, without expectation of placement so you can imagine they were extremely happy to land such the prize and position. http://clubaholic.tv/wp-content/uploads/2015/03/lndjl-web.png 200 400 clubaholic http://clubaholic.tv/wp-content/uploads/2015/09/logo-new-300x100-300x86.png clubaholic2016-08-15 13:47:442016-08-15 13:48:54PRESS RELEASE: Record launch for Children in Crisis by Last Night A DJ Saved My Life.